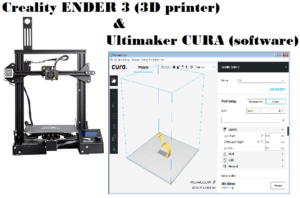 After start CURA (my version is: 3.5.1) you must configure a new printer, in our case is the ENDER 3, for do this follow the steps below. Select: SETTINGS → PRINTER → MANAGE PRINTERS, see below. This entry was posted in 3D_Printer. Bookmark the permalink.